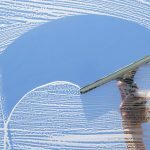 Keeping your Windows clean has many benefits for you and your family. Not only does it help to improve the curb appeal of your home, it can also make it more convenient for you because you are able to see outside easily. Additionally, clean Windows can be the pride of your household because most homeowners are not the best at keeping up with this necessary chore. Unfortunately, you may also have a difficulty finding the time to clean your windows regularly but that will not be an issue when you contact Green Clean Window Washing. Regardless of whether it is a single clean or if you need to have us come out periodically to keep your Windows clean permanently, you can count on us to provide you with superior service. One of the options that we make available to our customers is a water fed pole system which will use purified water to keep the Windows on the second floor as clean as possible. Along with using purified water, we also use a boars hair brush head to remove the debris and to agitate the window in order to provide you with the superior job that you desire. We use boars hair because it is a much better choice than using a nylon brush when it comes to the cleanliness of your window. Regardless of whether it is due to the superior agitation of the dirt on the window or if it helps to remove the dirt that has built up, it is something that we use because we want to give you the best job possible. We utilize a multi-step system to ensure that your windows are as clean as possible when we leave your home or place of business. 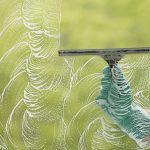 We use a scrub brush, which will apply the solution to the window, agitate it and help to remove some of the debris and dirt that has been buildup on the window. 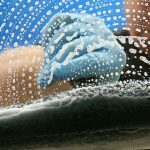 At that point, we may use a scraper blade, which is designed to remove the additional debris off of the window effectively and to keep it clean for a longer amount of time. A squeegee is then used to remove the bulk of the water from the window. We will then use a surgical towel to clean the edges and corners so that you are left with a flawless job.